When a Russian Soyuz rocket carrying three tons of equipment crashed over Siberia on August 24th, Americans got a brief glimpse of a silent scandal: the space gap. That gap—planned in the days of the Bush Administration—means that for five years or more, America has no way to get humans into space. Yes, now that the Space Shuttle has been officially retired, the only way we can get Americans into space is to buy space on Russia’s Soyuz rockets from the Russian Federal Space Agency at a cost of $50 million per seat. With a price rise to $63 million in 2014. But never fear. Four white knights are coming to the rescue. They come from America’s private sector. The development and deployment of their vehicles will mean not only jobs, but the beginning of a true space infrastructure. Like the builders of the transcontinental railroad a hundred years ago, these companies are building a trail into America’s next frontier. The companies are Amazon.com founder Jeff Bezos’ Blue Origin, Paypal co-founder Elon Musk’s Space Exploration Technologies (SpaceX), Eren and Fatih Ozmen’s Sierra Nevada Corporation, and big-time airline builder and defense contractor Boeing. In April of this year, NASA awarded these four between $22 and $92 million each in the second round of its Commercial Crew Development Program (CCDev-2), a commercial effort aimed to get Americans back into space on American rockets…safely, reliably, and at a considerable savings in cost. Below are the launch vehicles that America’s private sector is working on to yank us out of the space gap and into the future. Boeing’s CST-100 will be a reusable, capsule-shaped spacecraft with both a crew module and a service module. Boeing says it will rely on proven, affordable materials that can transport up to seven people or a combination of people and cargo. It will be bigger than the 1960s Apollo command module that carried astronauts to the Moon, but smaller than NASA’s Orion. The CST-100 will be able to hold up to seven people, or a mixture of cargo and crew. Unlike SpaceX’s Dragon, the CST-100 is designed only for low Earth orbit. The CST-100 is designed to dock with the International Space Station and with Bigelow Aerospace’s Commercial Space Station—the first privately owned space station. 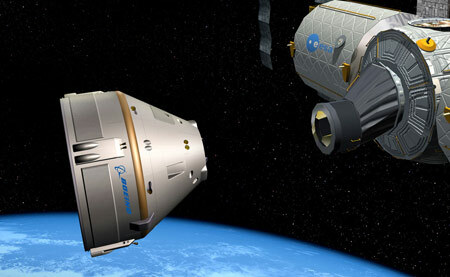 Bigelow Aerospace already has two test modules for its private space station in orbit and plans on having the first commercial space habitats by 2015. With sufficient funding from NASA’s Commercial Crew Development program, Boeing could be ready to begin transporting astronauts to the International Space Station aboard its reusable CST-100 capsule in the first quarter of 2016 with all-NASA crews, says John Elbon, Boeing vice president and program manager of the company’s Houston-based Commercial Crew Program. In August, 2011, Boeing chose United Launch Alliance’s nine year old Atlas V rocket as the delivery vehicle for the CST-100. A series of three test flights with the Atlas V and the CST-100 capsule are planned for 2015. But there’s a hitch. 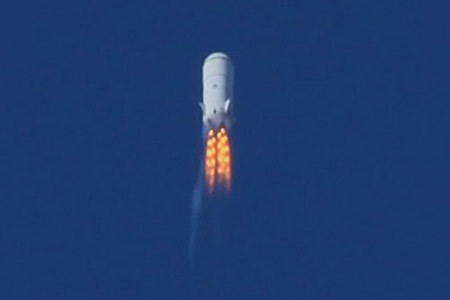 The Atlas V uses Russian-made engines, Russian RD-180s, for its first stage. The good news? The CST-100 will also fly on SpaceX’s Falcon 9, an American rocket with American-built engines. The SpaceX Dragon capsule is a crew and cargo delivery spacecraft that will carry up to seven people or a mixture of personnel and cargo. The Dragon will launch atop an Elon Musk SpaceX rocket, the Falcon 9 (more about that below). In December of 2010, the Dragon became the first crew capsule ever placed in orbit and recovered by a private company. 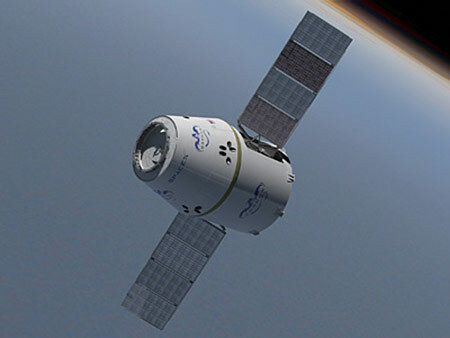 NASA is expected to give approval for the Dragon to dock with the International Space Station this December on the Dragon’s second test flight. It is likely that the Russian rocket failure might delay this flight into January. And, according to SpaceX’s Musk, the Dragon has been designed from the beginning to be used for a mission to Mars. The Falcon 9 is a two-stage rocket. 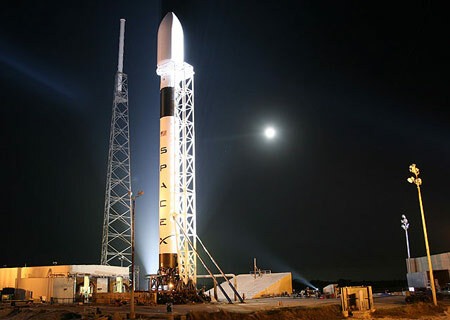 Its first stage is powered by nine American-made SpaceX Merlin engines. The second stage is powered by one Merlin engine. Falcon 9 has had two successful flights. The first in June, 2010 and the second in December, 2010. On the second flight, the Dragon capsule orbited the Earth twice before splashing down. The Falcon Heavy– a super high-capacity version of the Falcon 9–will be a stretched Falcon 9 rocket with two additional Falcon 9 boosters attached to either side of the first stage of the rocket. The Falcon Heavy will be capable of sending missions to Mars. 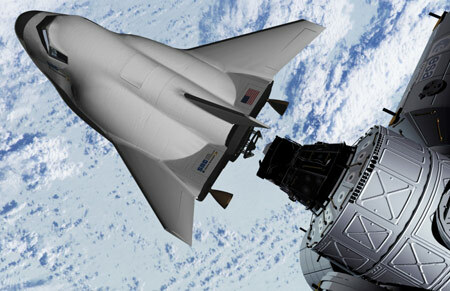 The Sierra Nevada Corporation’s Dream Chaser builds on a previous NASA design, the HL-20. The Dream Chaser is a space-shuttle-lookalike for a reason. Its shape—a lifting body—will allow it to take off vertically and land horizontally. (In a lifting body, the craft’s body acts as a wing and produces lift.) Capable of holding a crew of up to seven people or a mixture of crew and cargo, the HL-20’s missions will include delivering and returning crew and critical cargo to the International Space Station. The HL-20 will launch using an Atlas V. Yes, the Atlas V with Russian rockets. Making us once again reliant on the Russians. The Dream Chaser is scheduled to take its first flight by 2014. The fully-reusable Dream Chaser will glide back to Earth and can land at almost any aircraft runway in the world. Blue Origin is working on (1) an orbital crew vehicle capable of carrying astronauts or cargo to the International Space station on an Atlas V rocket, and (2) a re-usable suborbital rocket called the New Shepard. The company also aims to eventually develop a reusable orbital rocket so they can also carry their orbital crew vehicle on their own rocket. Blue Origin’s goal is to bring down the cost of getting into space. Development of the orbital crew vehicle is being partly supported by NASA’s CCDev program. In an entirely different program, NASA has also contracted to fly some suborbital experiments on the New Shepard rocket (Blue Origin being one of seven companies selected for such experiments). The New Shepard is a rocket-propelled vehicle capable of carrying three or more astronauts into suborbital space. The New Shepard is designed to carry two kinds of passengers into a microgravity environment: space tourists and researchers. The New Shepard is fully reusable. Its pressurized crew capsule for astronauts and experiments sits atop its propulsion module. Upon re-entering, the crew capsule separates from the propulsion module to be recovered via parachute, while the New Shepard propulsion module will land vertically. Flights will take place from Blue Origin’s own launch site, which is already operating in West Texas. I like to think of it not so much a gap as Americans going back to acting like Americans. We did big government rockets to do a come from behind victory over the Russian Design Bureau’s. We beat them at *their* game. We out-socialisted them and managed it because, as economist Thomas Sowell put it, “NASA won the race against itself becoming a bureaucracy”. I like the idea of a free-market approach to developing & deploying space capabilities… but I worry. The quote by Thomas Sowell is quite true, and applies even now; the nascent space technology market is in danger of losing the race against the established interests. As an example, I give you Lockheed’s response to SpaceX — not an attempt to compete on the merits of their vehicles, but getting a shill to spread libelous rumors and unfounded fear, uncertainty, and doubt. Or ULA’s response to the Falcon Heavy — lobbying thoroughly bought bureaucrats to grant them (in the name of national security and military need) a multi-year pork-laden launch contract for an unrealistic number of launches at inflated costs. Or Orbital Sciences getting a resupply contract for fewer flights, with a less capable vehicle, carrying less cargo — which yet pays much more than the contract awarded to their competitor. Or the Senate Launch System, an unaffordable pork-barrel jobs program that the engineering geniuses of the US congress forced on NASA — a program which is a shoddily disguised copy of the (rightly discarded as far too expensive based on findings of the impartial Augustine commission) dismal Constellation program. The race is on. Can the market-driven commercial space companies get established, and create a market strong enough to sustain them, in the face of such entrenched corruption? Can they do it before the bureaucratic ossification extends far enough to doom us to stay on this rock forever? I can only hope, and try to find ways to put my money into the new-space start-ups.